Our online file conversion service allows you to convert PDF to TIFF for free. Although it is less functional than the shareware Total PDF Converter, it has won quite a reputation among users. Because this is an online service, it has no desktop or command line option. Batch conversion is not possible either. However, thanks to high speed and simplicity, it is possible to convert many files one by one within a short while, which partially compensates for the lack of batch function. Unlike many other online services, this one does not require that you enter your email address. 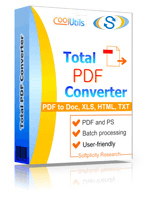 Therefore, you can safely convert as many PDF files to TIFF as you wish. Enter the URL and convert PDF online right now! It takes only a few simple steps. 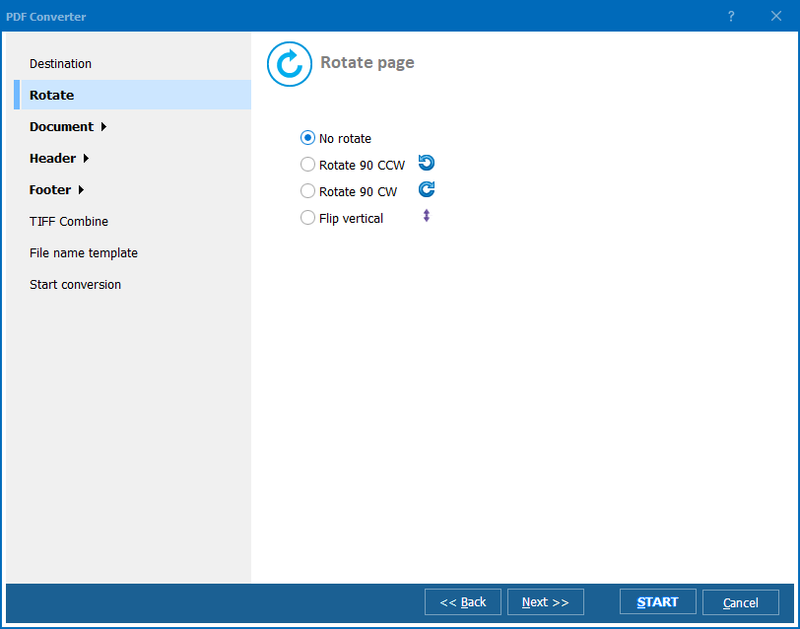 First, you should specify the PDF file, which you are going to convert to TIFF, and upload it. Second, you should specify the conversion parameters. Finally, you download the TIFF file. 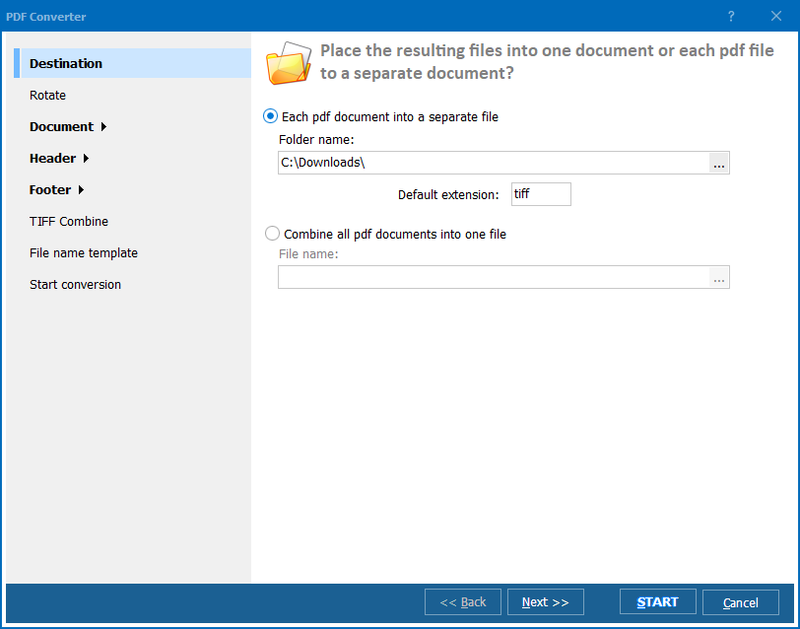 Click Browse to select the PDF file and wait until the file is ready to convert. Set the convert options. With TIFF, these are image DPI and page size. The service applies default settings, but you can set your preferred parameters. Click "Download Converted File" to get your target TIFF file. One reason why many users appreciate this service is free access. However, they also mention its efficiency and speed. 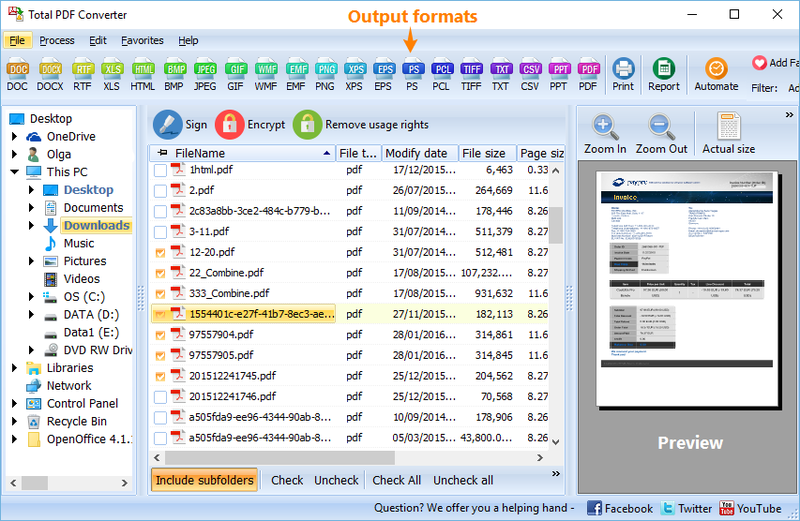 Although it only converts files singly, you can manage a lot of files within minutes thanks to its high speed work. What is really vital for this online PDF converter is high quality IT connection, without which it is useless. If you are planning to focus on this particular converter, you should turn to a reliable IT service provider. This converter is ad free, so you are not going to have to deal with annoying pop-up ads. Convert PS to TIFF without any problems. Convert EPS to TIFF automatically.